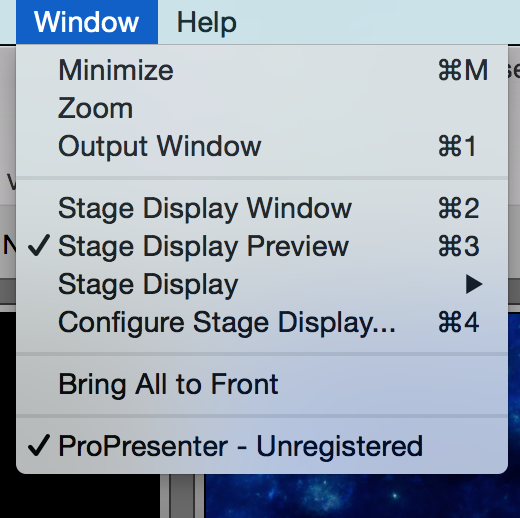 Have you ever been in ProPresenter and been trying to setup Stage Display? Of course your worship team wants one thing, your pastor another, and those handling announcements and special moments, yet another setup. 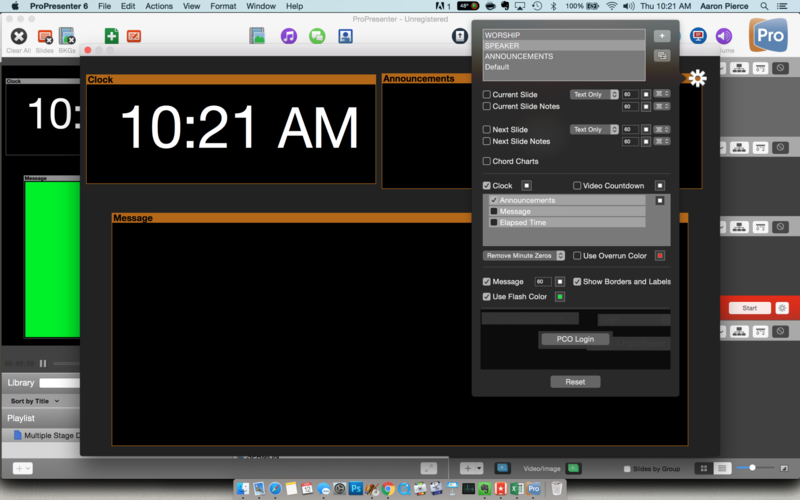 Hard to accomplish with a single setup option in ProPresenter. 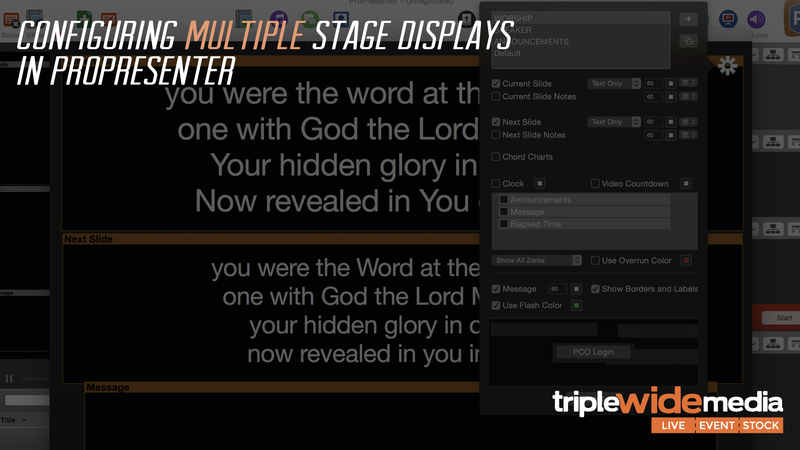 But, did you know that you can setup multiple stage displays within ProPresenter? Let’s walk through how below. 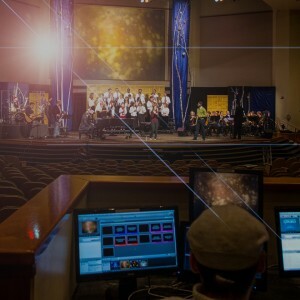 You can either handle this beforehand or after, but regardless you will want to make sure you have your ProPresenter setup properly to allow you to run different displays for each part of your service. The biggest key is in setting up each section of your service that you need an individual stage display configuration as a unique presentation that you place in your playlist. You can see how we organized ours for the purpose of this overview below. 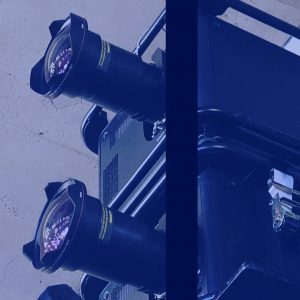 The first step in the process of configuring your multiple stage displays is going to be creating your displays for each portion of your service. 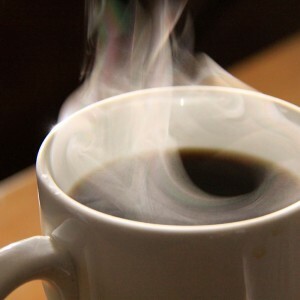 This is a fairly simple process once you know where to go. 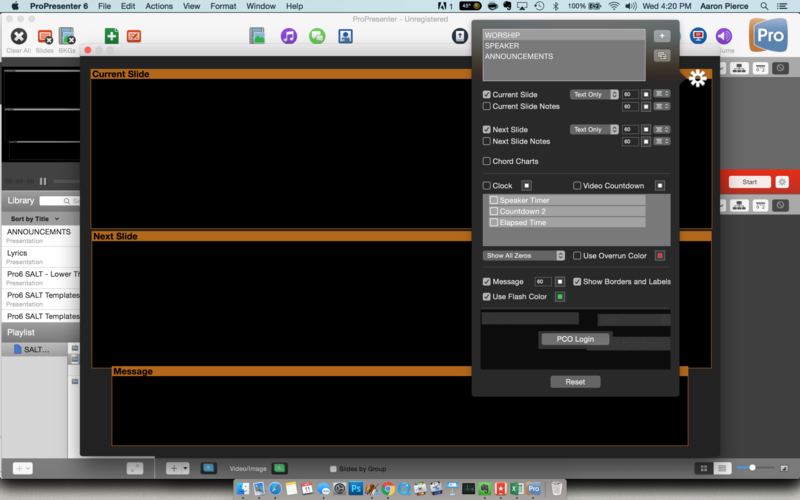 Click on “Window” and then “Configure Stage Display” in the menu bar. 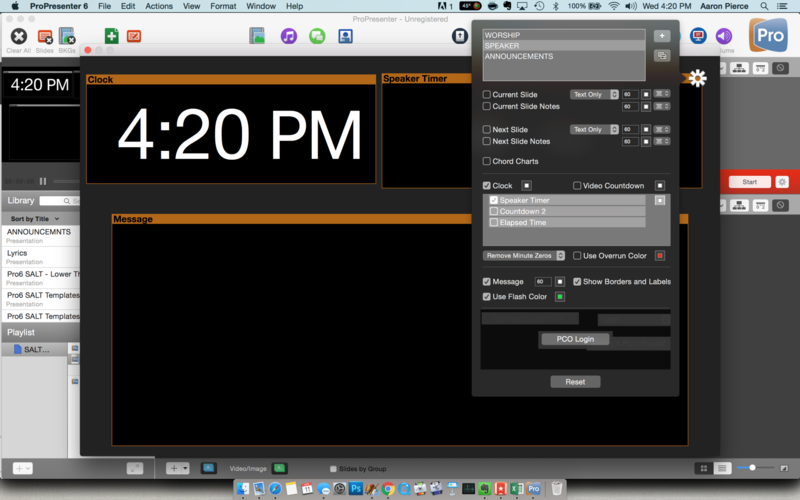 This will open up the dialog box where you can configure your stage display. In order to create multiple options, simply click on the “+” button in the upper right corner and add an option. From there, you can name and then configure each stage display. Depending on your particular needs your may end up with more or less configurations. But in the end, this is where you can customize the stage display for each one of your sections. 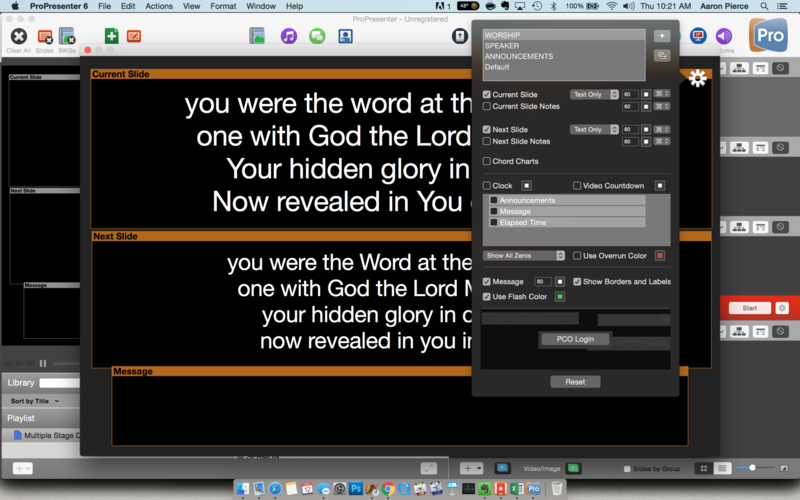 So if your worship leader wants so only have lyrics of the current slide plus the next slide, that’s all you need to add. Perhaps the announcement team simply needs to see the current slide plus a countdown timer (the timer could be for either each particular announcement or for the overall time for their section.) 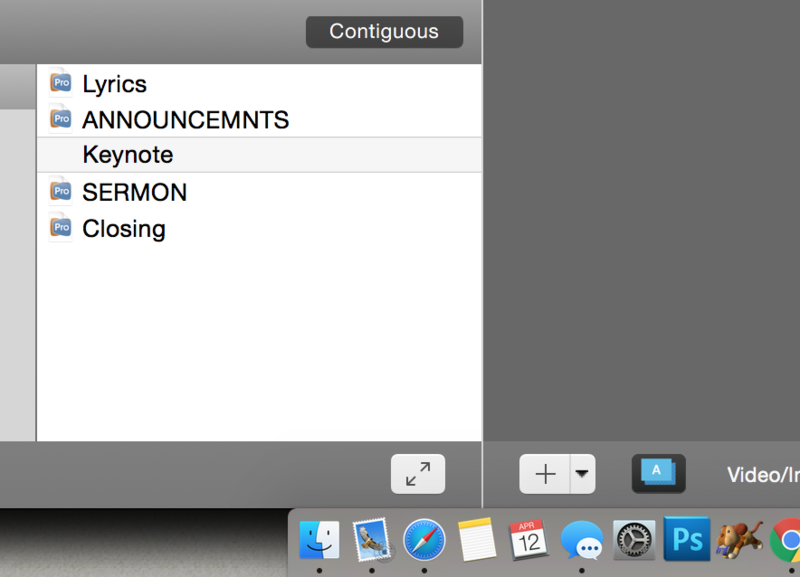 Finally, the pastor may any number of items including countdown clock (or running time,) current time, sermon notes, current slide, next slide, etc. The best part of this is you can facilitate all of these needs for each portion of your service without compromise from one to the next. The finally step in the process is assigning each stage display to it’s corresponding presentation element or portion of the service. Here’s how to do that. Right click on the first slide of a section and go to “Edit Cues.” From there, you will be taken to a simple dialogue box that gives you a few options. Click on the dropdown menu and select the stage display preferences you have configured for the particular section you are editing and then hit done. 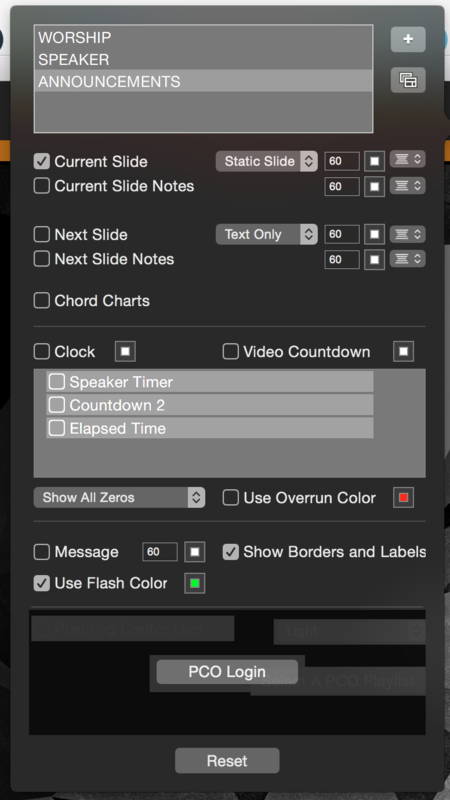 Now your stage display will remain in that particular configuration for each slide in that slide. 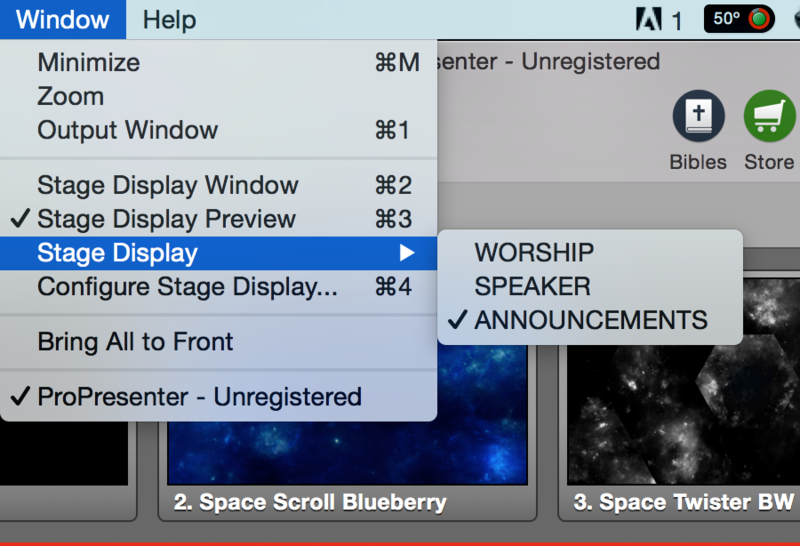 NOTE: If you have a section where you place an extra element, perhaps a scripture verse in the middle of the worship set. It may be advantageous to set a different stage display template for that particular slide. 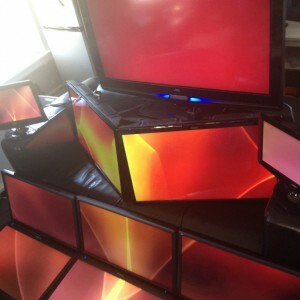 Maybe a single element of what is on the screens (i.e. the scripture verse being read aloud.) Just remember, on the next slide, you’ll have to bring back your original configuration or you’ll be stuck for the rest of that section on the new layout. So, there you have it. 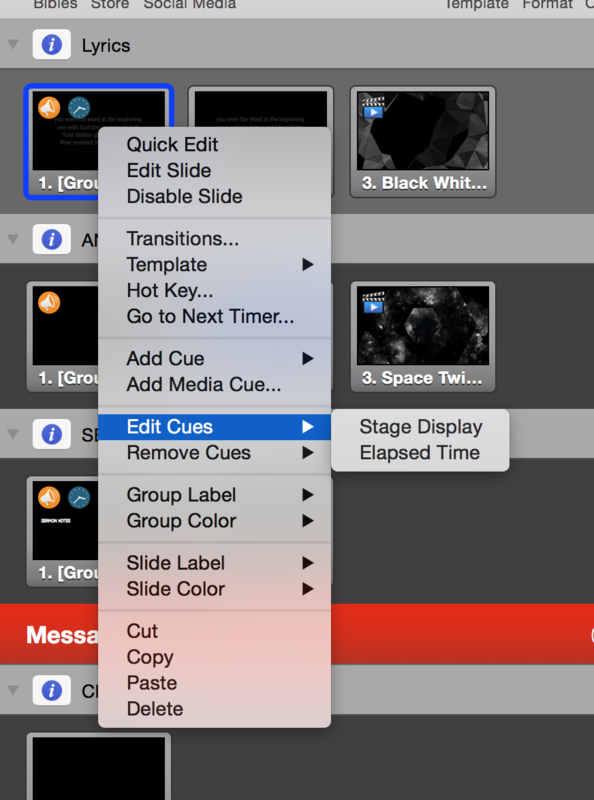 A few simple step to configure multiple stage display options within one ProPresenter playlist. This is super helpful and handy to have in place where everyone wants something different. 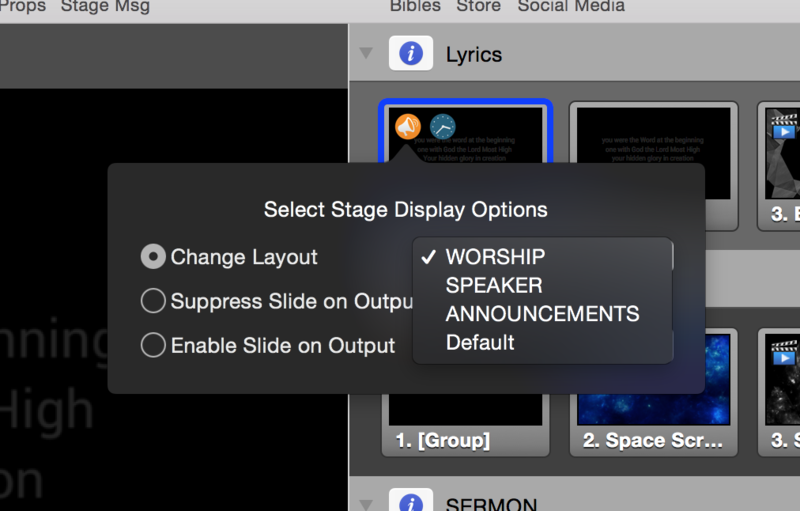 With the ability to preset the display configuration for each and every element, you eliminate extra key strokes in switching manually and have more time to focus on making sure the slides displayed to your congregation are on track. If you have any question about this or other fun tips, feel free to contact us or reach out to us via Facebook.